Summer is coming to a close, but I had to share a recently discovered, grilled favorite in the Jamieson household. I have read multiple articles suggesting summer grilled pouch recipes on Pinterest, but none of the ingredients really caught my attention. 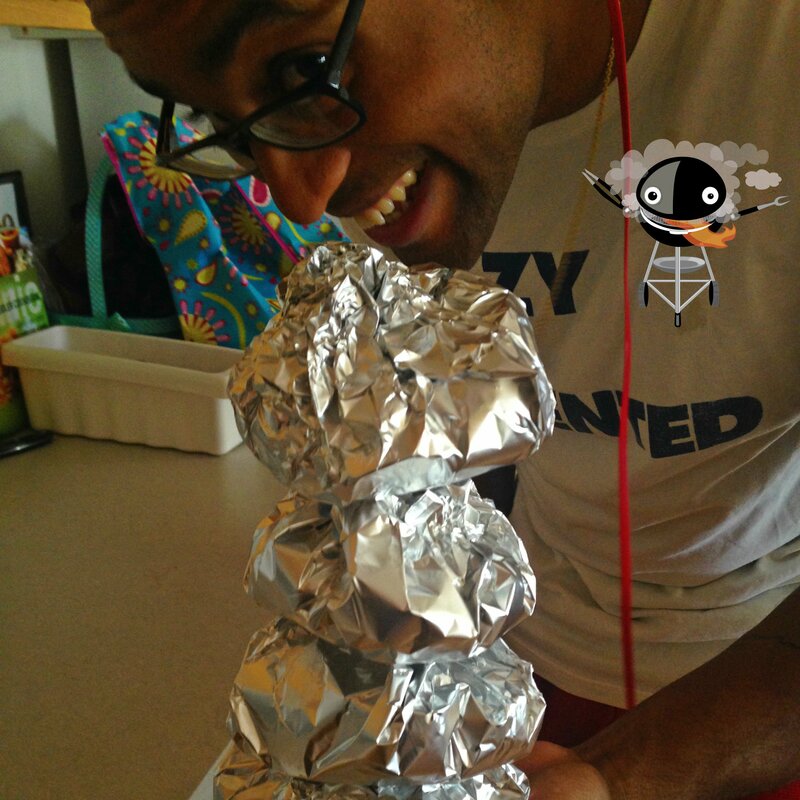 We decided to grill a few weekends ago, and I decided to attempt my own concoction of ingredients in a foil packet to throw on the grill with the chicken. Well, considering I’m sharing the recipe, and it’s now a favorite in our home, it’s pretty safe to say the concoction was a hit! 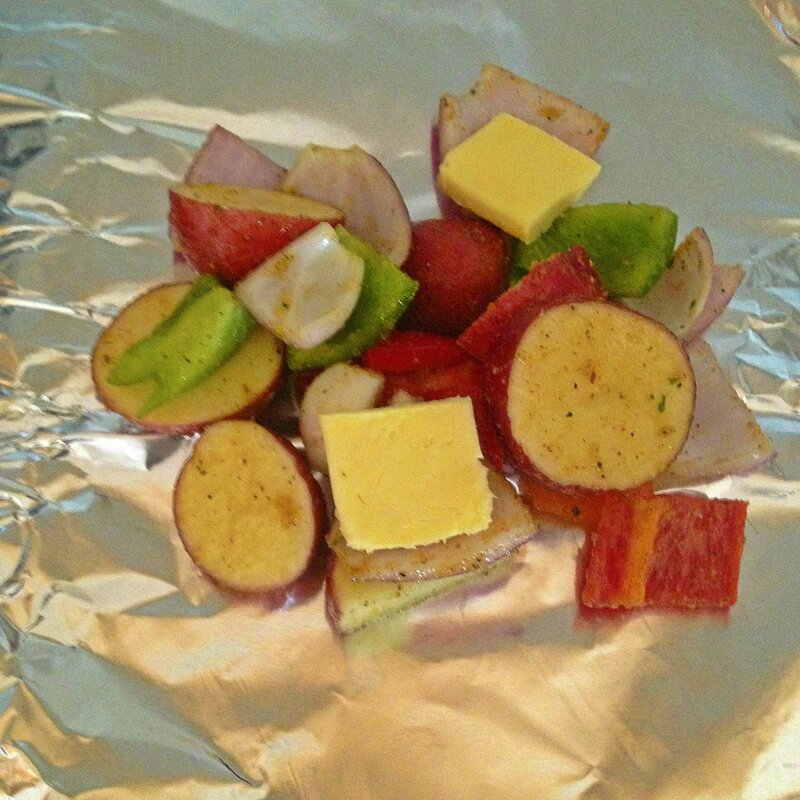 Here are the step by step instructions to make your own yummy grilled potato-veggie pouches. Wash your bell peppers and potatoes. 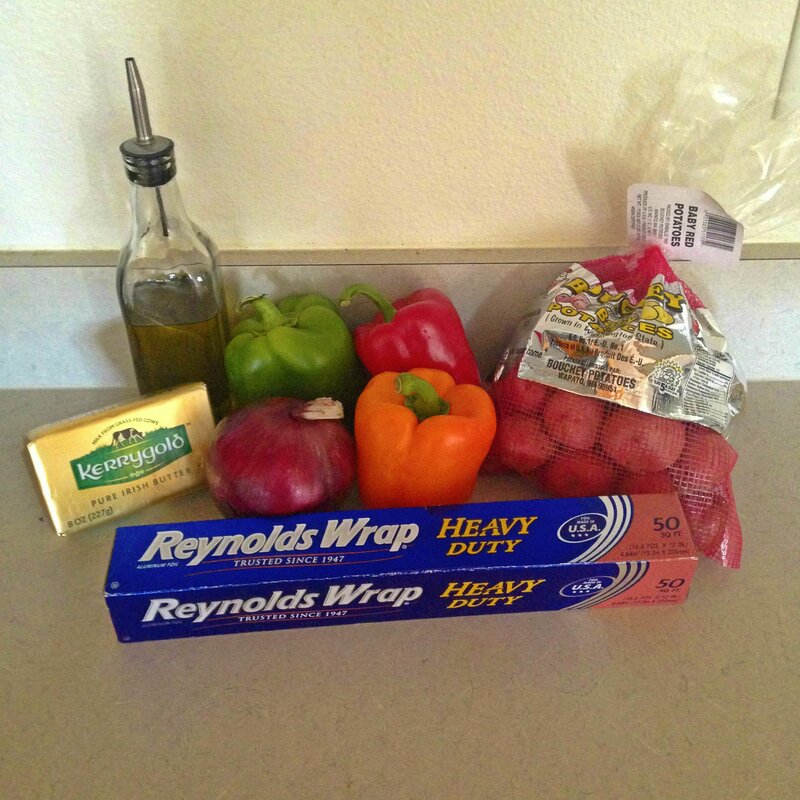 Cut your baby potatoes into halves, and your bell peppers and onion into slightly larger than quarter sized pieces. Place all of your cut up potatoes and vegetables into a large enough container (with a lid), drizzle your olive oil and seasonings over the potatoes and vegetables in the container. Cover the container with the lid, and shake everything together to coat the potatoes and veggies in the olive oil and seasonings. Tear off five decently sized pieces of foil and lay them on the counter. 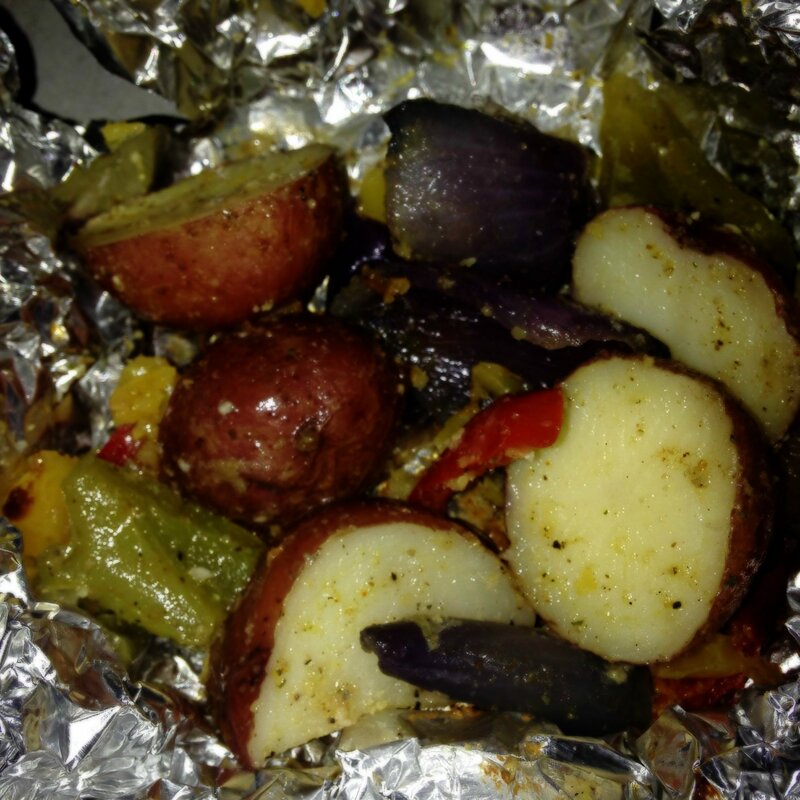 Evenly spoon the potato and veggie mixture in the middle of each piece of foil. Cut 1 tablespoon of butter in half, and place both pieces into separate parts of the potato veggie pouches. Repeat this for the remaining 4 pouches. With your potatoes and vegetables in the center of the foil, close the foil by bringing the ends up to meet and crunch them together. Here is a picture of my lovely husband demonstrating what the pouches should look like when they’re closed and ready for the grill. Put the pouches on the grill for about half an hour (or until desired tenderness). Once they are finished, leave them closed for another 3-5 minutes to finish cooking in the foil/cool down a little. We like to serve our pouches with shredded mild cheddar cheese melted on top. Enjoy your yummy grilled potato-veggie pouches!